The ideal bag for those on the go days. 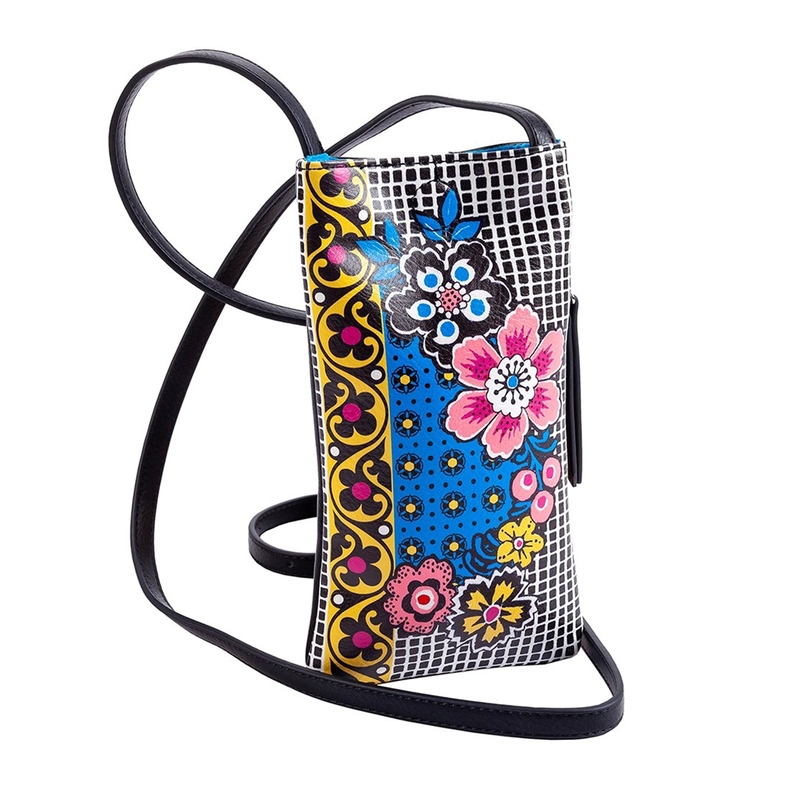 This lightweight foulard print crossbody by Sydney Love provides just enough space for your phone, glasses, cards and some cash. 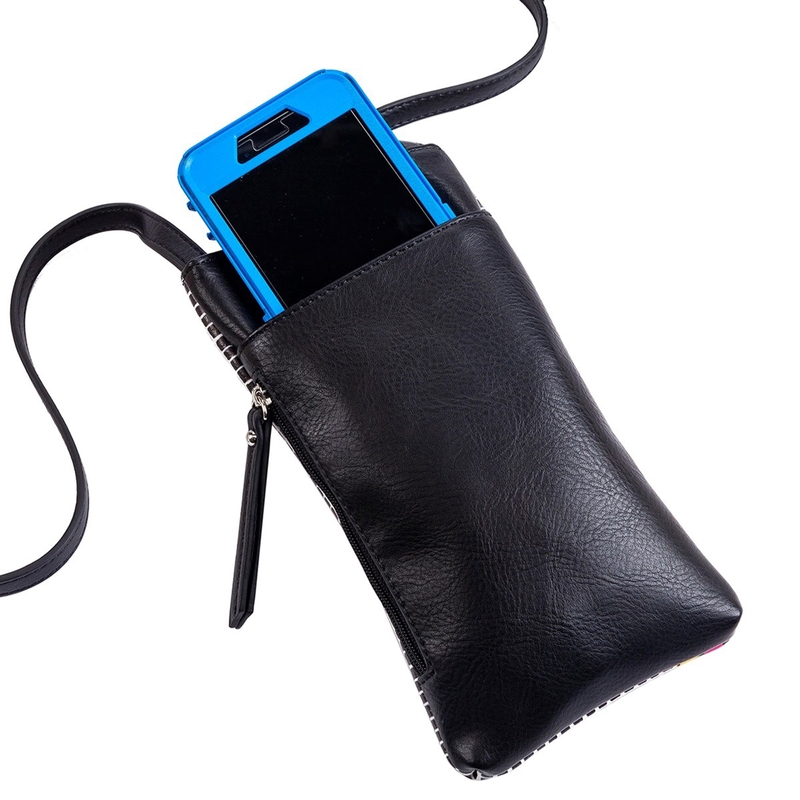 Fits iPhone Standard and Plus sized models. Phone crossbody bag in simulated leather with a foulard print graphic at front.